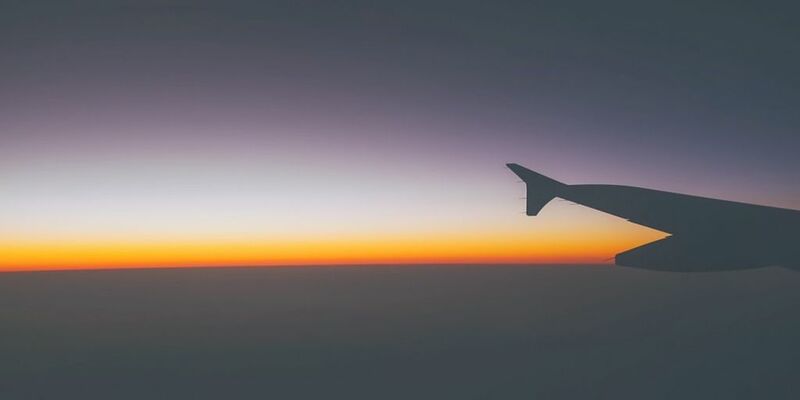 Here at ActivityBreaks.com we don’t organise flights as we find that if the customers have the freedom to source their own flights, they can find the best price! But if you ask us for help finding flights, then we’ll offer our advice! We offer a range of fantastic breaks, and can tailor them to your travel dates. For some of our breaks, like concert breaks, where thousands of people are flocking to one area for a set time, flight prices can rocket very quickly, so we’ve compiled this handy list of things to consider before you book! 1. Consider mid-week travel dates. It only takes 10 minutes exploring flight prices to make the realisation that weekend dates are more expensive to fly. Obviously because people want to travel on weekends to save taking holidays from work. Similarly if you are travelling to a big city, Monday morning and Thursday evening flights can be crazy expensive, this is because they are key commuting times. For cheapest flights its best to consider mid-day Saturday or mid-week! 2. Use comparisons sites – but always double check! I travel A LOT. I used to commute to London from Northern Ireland, and now my partner lives in Manchester while I still reside in NI. When booking my travel I always reference sites like skyscanner.com and cheapflights.co.uk, however I may not always book through these sites. I use them because, first and foremost, it lets me see what airlines operate to my destination and also because they are generally find the cheapest deal. Before I book anything, I will always double check the airlines direct website to see if it is cheaper there. Also, keep an open mind about travelling with different airlines… for example sometimes it is cheaper for me to fly out with Flybe and fly home with Easyjet. You may think this is extra hassle, but with mobile apps, check in and boarding passes are easy to sort out. Ok so it may seem obvious, but if you’re looking to save money then consider budget airlines. Although they are “budget”, for short-haul flights (anything under 5 hours) they do the job. For short haul flights I have travelled with Ryanair, British Airways, Jet2, Easyjet, Aer Lingus, Flybe and VLM and in my opinion they are all the same. Yes, you pay the extra for BA and get the free snacks – but you still wait in the airport the same length of time, and board the same way and have the same seat space as the majority of other airlines. So keep an open mind and consider your options. If you are on a strict budget, like flying and don’t mind waiting around, then consider booking indirect flights. Skyscanner can be useful for this, as it will find you flights with the lowest airfare and taxes. You can save some serious money just by taking a small detour. I know you’re probably reluctant to clog up your inbox any more than it already is, but I find it’s really useful to sign up to airline newsletters. They keep you up to date with all the latest news – new routes, top destinations and most importantly, SALES! Most airlines will launch summer sales around April time, and if you’re prepared you can get some serious bargains! If you know you have to be somewhere, or that you want to travel at a certain time, then get booking!! If you choose to fly with budget airlines especially, prices will be set at a low rate and therefore will only increase as it gets nearer to the date of travel (supply & demand! ).